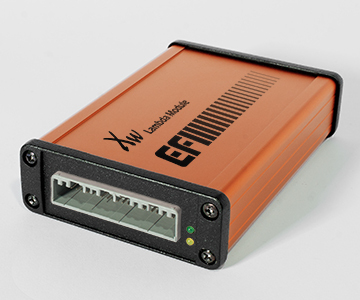 EFI Technology offers a wide range of Lambda measuring equipment. 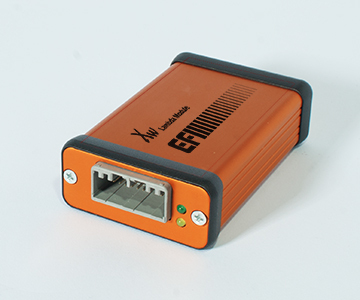 Many of our ECU's are available with built in amplifiers that accept direct sensor inputs. For further information please refer to the engine control page found in the products section. For a complete list of Lambda equipment please refer to our price guide found in the downloads section. The Xw lambda amp is a compact single channel NGK lambda amplifier with built in heater control circuit and 0-5 volt output. The Xw lambda amp is a compact dual channel NGK lambda amplifier with built in heater control circuit and 0-5 volt outputs. The Xw lambda amp is a compact four channel NGK lambda amplifier with built in heater control circuit with both CAN bus and 0-5 volt outputs. The Xw8 lambda amp is a compact eight channel NGK lambda amplifier kit with built in heater control circuit with both CAN bus and 0-5 volt outputs.